h= 90-120 cm, Base. 8-10 cm. Incredibly tall bipinnate leaves - Exciting new Cycad native to monsoonal forest in Yunnan, China. 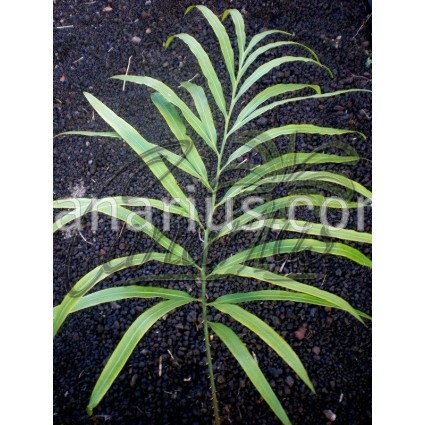 It has a short stem with tall, arching, fern-like leaves about 4 m (12 ft.) long. This is an exciting new Cycad with supreme bipinnate leaves, native to monsoonal forest in Yunnan, China. Cycas x Longipetiolula is a natural hybrid with a short stem andtall, arching, fern-like leaves about 4 m (12 ft.) long. Leaves have beautiful undulate margins. It is easy to grow in well drained moist soil. It is a new discovery so little is stillknown about its cold tolerance. It will possibly resist to cool conditions and an occasional light freeze. The size of this plant is: h= 90-120 cm, Base. 8-10 cm.